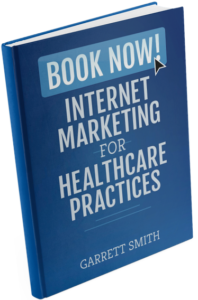 I think you’ll agree with me when I say that knowing where and how to promote online marketing for medical clinics and practices can be confusing. In this post I’ll explain how other successful healthcare practices promote themselves by leveraging audiences in areas where 90% of prospective patients spend time online to increase the number of new appointments. It’s recommended that you have completed the healthcare practice content calendar created in the previous step, where I show how to organize an effective content strategy. Though you can work through most of the recommendations on this post without it. Successful healthcare practices do more than just create content on their website to market themselves online; In fact once they’ve produced the content their work has just begun! There are 3 key ways that these practices promote themselves which result in more appointments from their search marketing. They want to be found everywhere online! To do this they create promotional content their patients are looking for when they search online about a condition they have or a treatment your clinic might provide. Effective promotional copy means dissolving larger marketing content from your content calendar in the previous step. Gets prospective patients nodding their head in agreement because it demonstrates your understanding of their problem or condition. Explains how you’ve successfully treated patients with similar conditions in the past. Encourages them to contact you so that you can help them. By following those three simple steps healthcare organizations come up with an underlying promotional theme that unifies why the practice exists. Using this method ensures that they bring in the types of patients that they want to see; it sounds simple but it’s important to spend some time thinking hard about your ideal patient personas: those that you provide the most successful outcomes for, and provide the most revenue for your practice. Think about the Nike advertising slogan “Just do it” as an example of a message that captures product identity and engenders customer empathy. In healthcare you’ll need to create a message that relates to your specialty and tries to ‘say’ what the patient is thinking about when they have a condition that you could treat. If you’re having a difficult time, don’t let this stop your progress. You can continue to brainstorm while going onto the next step: How Healthcare Providers Effectively use Facebook and Instagram.